Writers around the world publish millions of articles to the Internet every day. Does yours stand out? If you’re a content creator, making a few simple changes will help you become the kind of writer whose posts are readable, relatable, and shareable. Here are five things that will make you better at content writing and help your posts shine like a beacon in a sea of words. If you’re going to create solid content, you have to be aware of what other writers in your space are doing. Read widely. Keep a clip file of articles that hook you. The bonus? When you’re short on inspiration, you can browse through your clip file to discover topics you’re excited to write about. Here’s a tip: Don’t let great ideas get away! You may think you’ll remember that cool topic you stumbled upon while reading outdated magazines at the dentist’s office, but chances are it’ll slip your mind unless you write it down. Use Evernote, or any note-taking app on your smartphone, to jot down your flashes of inspiration. Reading good writers will help you become a better one. Use social media to follow writers whose work informs and entertains you. (Or, if it works better for you, subscribe to their email updates.) Study their articles analytically—what are they doing that’s so appealing? Is there something about their technique that you could learn from? Take a look at how your favorite writers draw you in with their opening sentence and paragraph. Pay attention to what you like about their voice and style. Do they structure their articles in a way that makes them particularly readable? Is there anything unique about their presentation? How do they handle closing paragraphs? Reading and analyzing the work of other writers can give you valuable insights. 2 Researching without overdoing it. When I begin a new article, I start with some reconnaissance reading. I perform a Google search for my article topic and then scan through the articles in the top results. As I do this, I think about how I’m going to frame my own article in a way that brings something unique to the subject. My approach to creating content quickly involves writing first and researching last. While I do my recon reading, I make quick notes about the research I want to include in my article. But I won’t dig into that research until I’ve finished my draft. We writers love to learn, so it’s easy to take a deep dive down a research rabbit hole if you’re not careful, and climbing back out of those rabbit holes takes time that busy content producers don’t have. Odds are, unless analyzing research is your specialty, your readers aren’t going to be looking for in-depth coverage. In most cases, they’ll thank you for digging out the most fascinating discoveries and sharing those in a few sentences. Just make sure you provide a link to the research in case your reader is curious and wants to learn more. 3 Getting familiar with SEO best practices. Search engine optimization is a huge topic. This article isn’t the place for a deep dive, but SEO best practices are something any content producer should study. Here are a few bare-bones basics. Titles will make or break you. 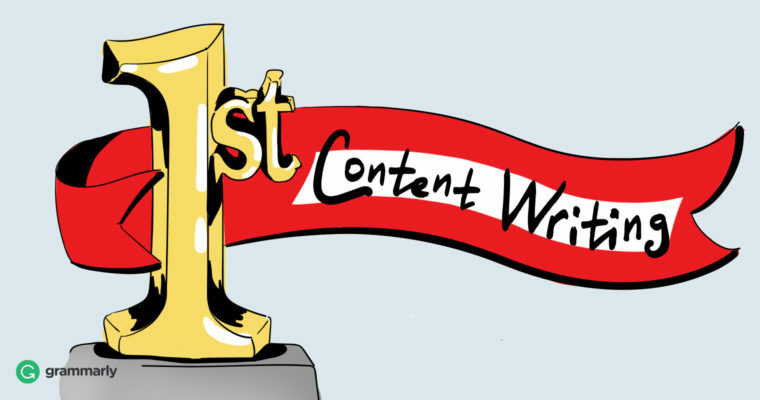 A good title with competitive (but not too competitive) keywords is key to getting your article seen, read, and shared. Structure is crucial. The Internet has made us into scanners rather than deep readers. Your article needs to be skimmable. Not only that, but subheaders are important for placing SEO-friendly keywords. You should link back to yourself. Linking back to your own relevant articles is a great way to generate more pageviews. Fresh content is critical. Keep your articles updated. That includes creating fresh new stories and updating older ones. If your SEO knowledge is lacking, Neil Patel offers a great step-by-step SEO guide. 4 Knowing how to create a killer hook. As I mentioned, your headline is the first thing that will draw your reader in, which is why getting it just right is essential. After that, your opening sentence and lead paragraph need to be compelling enough to keep the reader on the page. I often draft the rest of my article before going back to work on the opening paragraph. I find that, once I’ve written the body of my article, I have a good idea in my mind about what’s unique and interesting about it. Think of your opening paragraph as an advertisement for the rest of your article. Consider these examples. Writing a great opening paragraph is very important. Here are a few tips to get you on the way to hooking your readers. Yawn. Don’t tell your reader that something’s important, show her. Why should she want “a few tips” from you? I just stopped reading your article. You had about two seconds to hook me, but your yawn-inducing opener made me surf on to something else. Writers (not to mention their websites) thrive on being read, so why do we invest so little time in crafting strong opening hooks? Here, we’re showing why a strong hook is important—because if you don’t have one, your reader won’t stick around. (Pro tip: Dwell time is a key factor in SEO.) Readers who navigate away, rather than staying on your site to read what you’ve written, don’t engage. They won’t comment, or subscribe to your newsletter, or follow you on social media. And they probably won’t come back. There’s one caveat when it comes to opening paragraphs—they should sell, but they shouldn’t be misleading. Never let your opener write a check that your article can’t cash. It’s been documented that over two million blog posts are published every day. (Enough posts to fill TIME Magazine for 770 years.) Writers, our numbers are legion. Which means that it’s more important now than ever to stand out. The one thing you have that other writers don’t is your voice, and your voice is forged by not only your writing style but also your experiences. If you don’t have a story to relate to your readers, you can at least infuse your article with your personal style. Instead of writing like you’re churning out a dry research paper, write as though you’re telling a friend about some cool new stuff you’ve learned. Use your own natural, conversational tone. Keep your language simple and direct. In other words, just be you. No one else can.